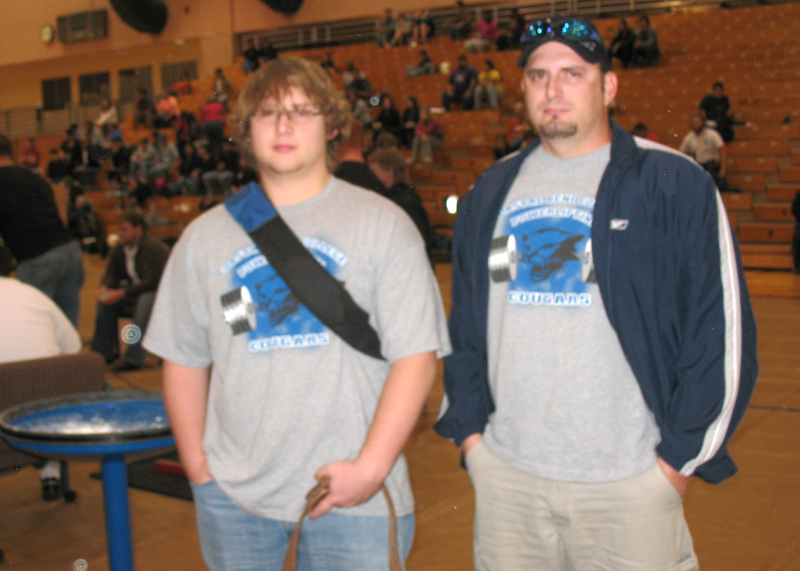 CBC Powerlifting Club competitors Jonathon Piecuch, left, and Jed Thomas. Coastal Bend College powerlifters competed at the annual Longhorn Open held at the University of Texas at Austin. CBC Powerlifting Club members and students Jonathon Piecuch of Cuero and Jed Thomas of Tuleta, accompanied by Jack Young, coach and club sponsor, traveled to Austin to compete against athletes from colleges and universities across the state, including Texas State University, the University of Texas at San Antonio, Texas A&M University, Texa Tech University, Angelo State University and the University of Houston. The competition was sanctioned by the United States Association of Power Lifting as a full powerlifting meet and a bench press only meet. Competitors took part at collegiate, open, submasters, and masters levels of powerlifting. Jonathon Piecuch competed in the 242 body weight class in the Bench Press only event. He successfully achieved a maximum lift of 235 pounds on the bench press, thus earning him a first place in the bench press collegiate level competition in his weight class. 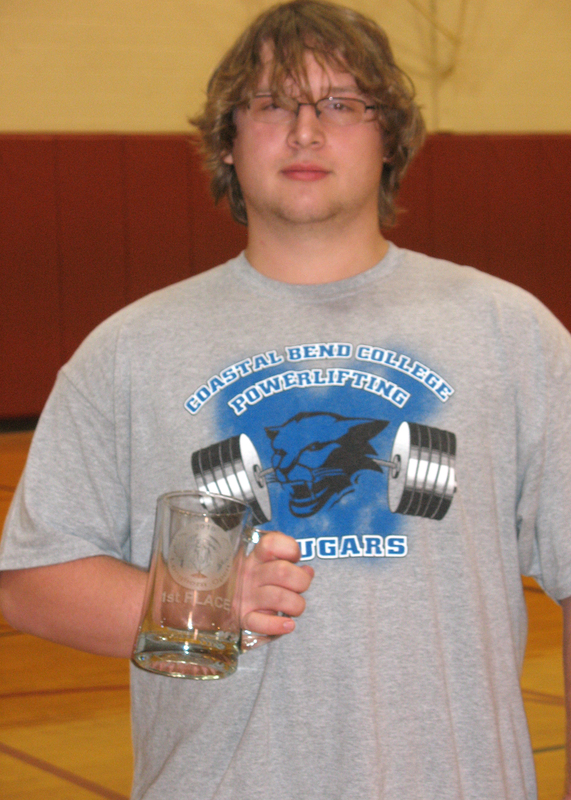 Piecuch won a large glass mug with “Longhorn Open Powerlifting” etched on it. Jonathon Piecuch of Cuero won first place for bench press at the USAPL competition held at UT Austin. For more information about powerlifting at Coastal Bend College, please contact Jack Young at (361) 354-2325.